In this U.S. Army photograph prisoners lie on the ground before their execution by South Korean troops in Taejon, South Korea. 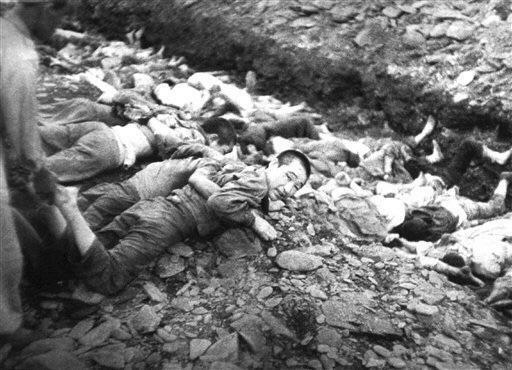 1,800 South Korean political prisoners were executed by the South Korean military at Taejon over three days in July 1950, as part of the Bodo League massacre. Why the look back at this event? To illustrate that when a country is involved in a war for its survival brutality on a scale that is unimaginable will become common. The West has not seen a war for survival in 70 odd years. It's inevitable. When it comes you will see things that will stun historians but will seem reasonable at the time.